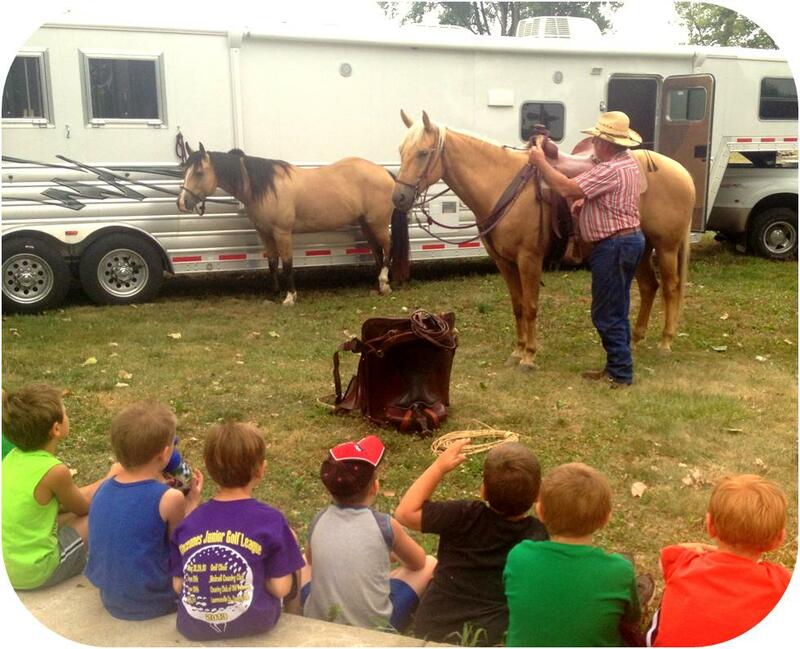 Our day campers learned about horses and farriers when Ron Ice visited last week. He talked about horse safety and how to approach a horse. Campers listened to Ron explain how to respect horses while enjoying the company they have to offer. Campers learned the importance of practicing safety around a horse and Ron taught them the fundamentals of how to respect a horse so it will respect a rider. The kids watched Ron demonstrate the proper methods of saddling horses and learned why each piece of the saddle is important to keep both the rider and the horse safe and comfortable. He also showed the campers the variety of gaits a horse has and demonstrated each, such as a walk, trot, and lope. The kids enjoyed seeing how horses run and learning just how fast they can go. Ron showed the campers why we put shoes on horses. He explained the importance of protecting a horse’s feet and how shoes keep their hooves safe from debris they may run over. Then, the campers had the opportunity to see Ron put shoes on a horse for themselves. They held the horseshoe and the horseshoe nails to see how they go into a horse’s hoof. This helped them understand that the nails don’t hurt the horses and they actually help keep them safe. Allowing our day campers to have an applied learning experience with horses was an excellent opportunity for them to learn about safety and responsibility when around these wonderful animals.